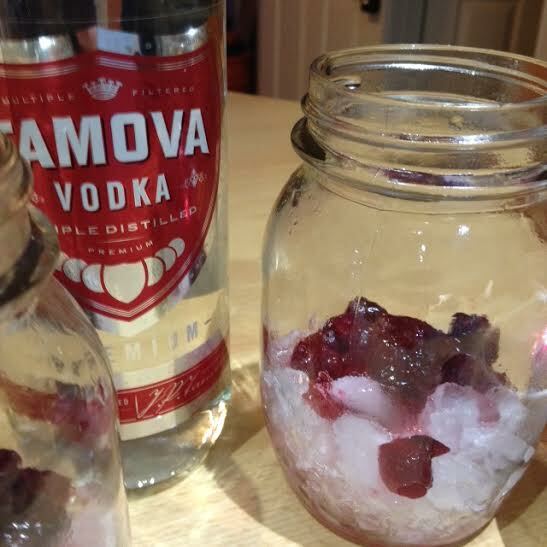 Cranberry and orange vodka cocktails. I’m not much of a vodka drinker, unlike others in my house, however I’m always willing to try new things. So when I was asked to try some Aldi spirits as the base for Christmas cocktails how could I refuse. I have used the Aldi spirits before in Easter cocktails so I know they work well. 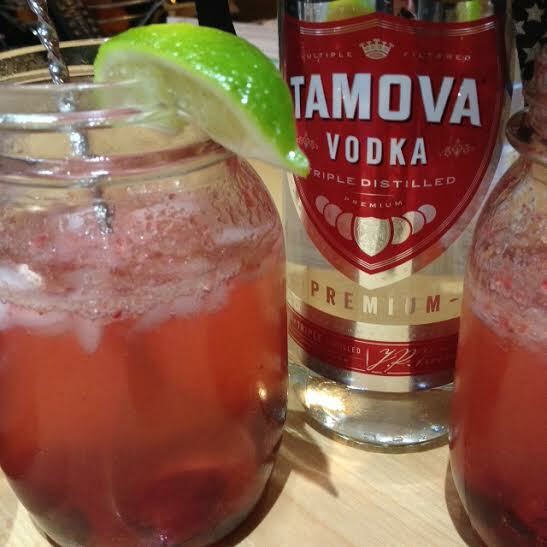 This particular cocktail uses Tamova vodka. My personal preference is always for fruit and spirit based cocktails rather than cream. According to Delia, nothing says “Christmas”, more than fresh cranberries. Add in some orange or clementine juice and vodka and you are away. 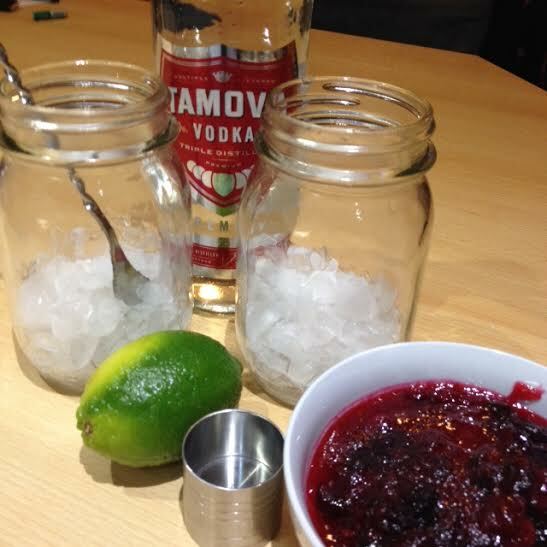 Fresh cranberries are a little tart so it seemed sensible to make a cranberry sauce as a base for the cocktail. The only sweetener in this cocktail is the sugar in the sauce as it is topped up with sparking water. 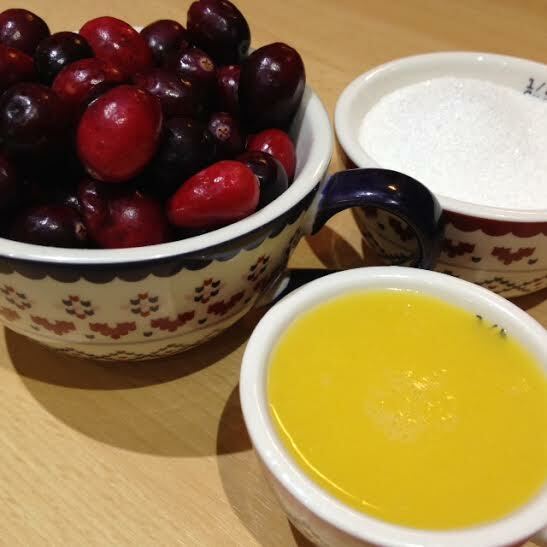 Ingredients for the cranberry base. Place the ingredients into a heavy based pan. Stir. Bring slowly up to the boil, until the cranberries all begin to pop. Decant into a bowl and allow to cool. Half fill a tall glass with ice. Add in the cranberry base. Muddle the ice and base together. Stir well with a long handles spoon. Pop a lime wedge on the side. Add a straw and indulge. I was sent a selection of Aldi spirits to try, along with a bar set and a voucher for additional ingredients. I was not asked for a positive review.